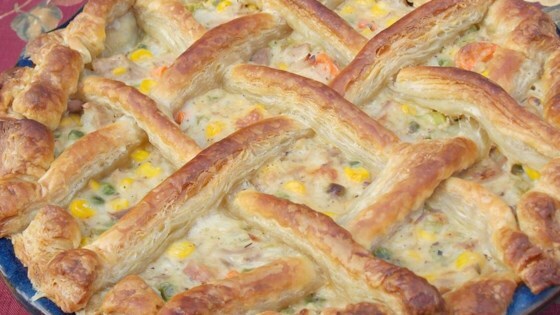 "Turkey pot pie without using canned soup." Added 1/2 can cream of chicken and 2 tbsp Siriacha Sauce for a little kick, delicious! I made this for my grandchildren. They Loved it!! Easy and delicious. All from scratch except for pie crust. The butter made it flaky. My husband loves it. Was able to use all my leftover turkey. Even my picky father in law loves this recipe.